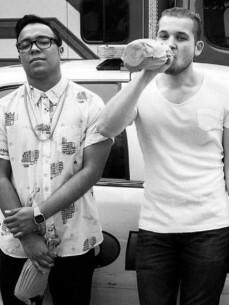 “GTA” is a Miami based production duo consisting of Matthew Van Toth (Van Toth) and Julio Mejia (JWLS). Their productions are classified as House music, influenced by other genres like Hip Hop, Salsa, and more. They have received acclaim by some of the heavy hitters on the Electronic scene today such as Afrojack, Diplo, and Laidback Luke.